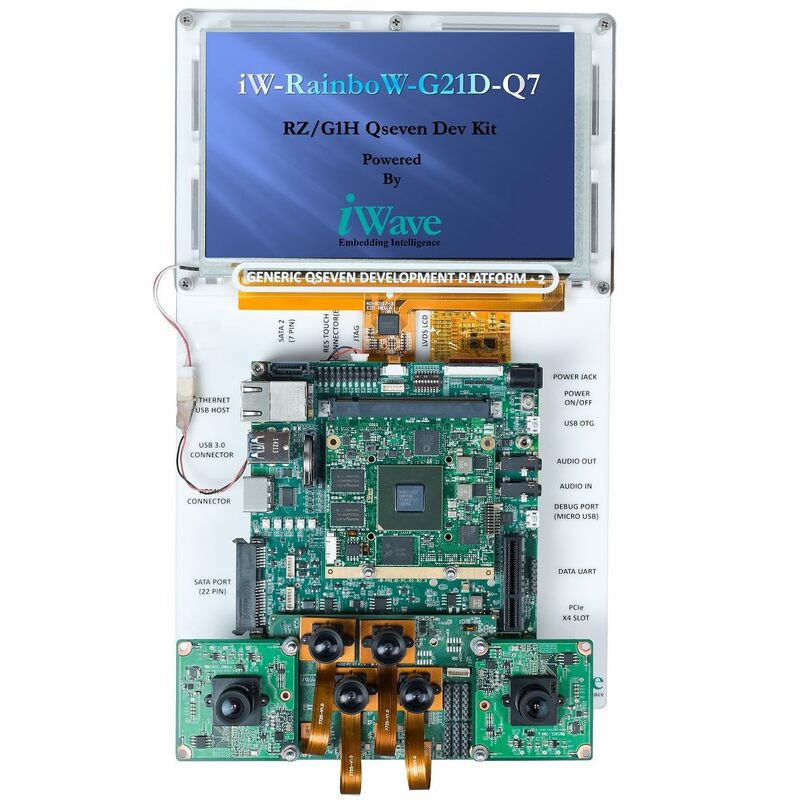 iWave’s RZ/G1H development board incorporates RZ/G1H Qseven SOM Which is based on Renesas high performance RZ/G1H Quad ARM Cortex A15 MPU and the carrier board with optional 7” capacitive display kit. The development board can be used for quick prototyping of various applications targeted by the RZ/G1H processor. With the 120mm x120 mm Nano ITX size, the kit is highly packed with all the necessary on-board connectors to validate the RZ/G1H MPU features.